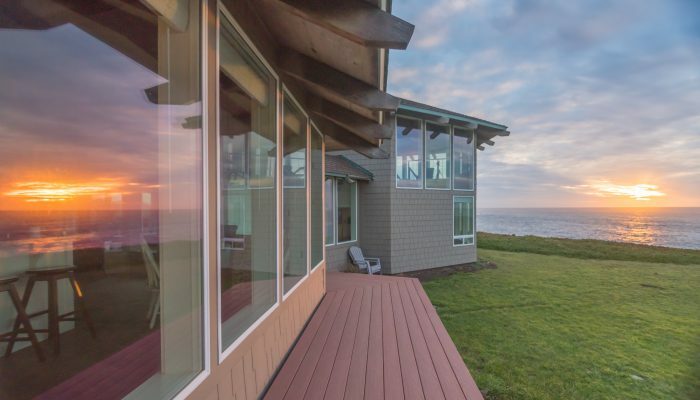 The Cliff House at Otter Point is poised on the bluff overlooking the Pacific, and is unlike any other vacation home on the coast! Consisting of three hexagonal structures surrounding an open spa deck, it can accommodate up to eight adults in separate private sleeping areas. 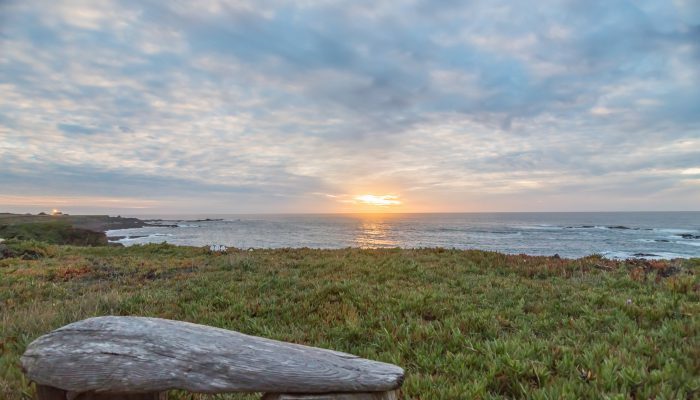 The west-most hexagon offers spectacular views up and down the coast, from the Cabrillo Lighthouse in the south to Todd Point in the north. 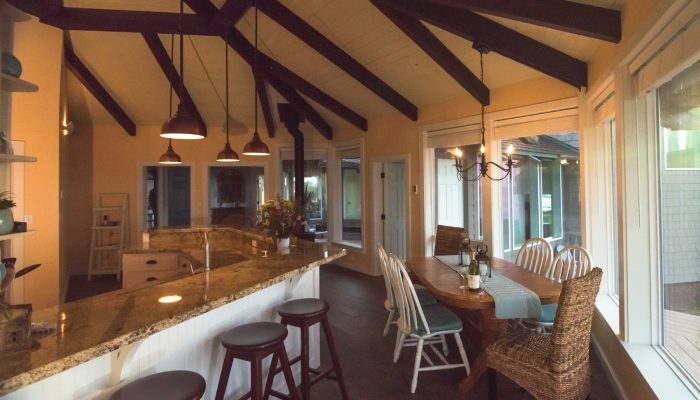 The home is newly remodeled and beautifully appointed throughout with a completely furnished kitchen, 3 bathrooms, several spacious living areas and a deck facing the ocean. 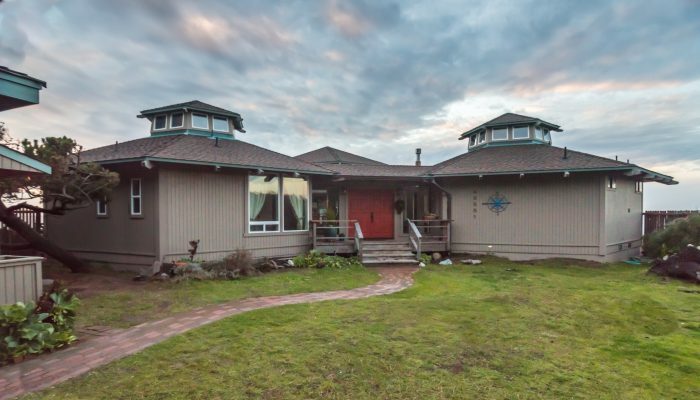 Because of this home’s beautiful and enchanting location, we require that a Waiver of Responsibility statement be signed if you bring a child onto the property. The bluff is very tempting, and steep – and can be dangerous to a child. A fully refundable damage deposit and a one-time cleaning fee applies. 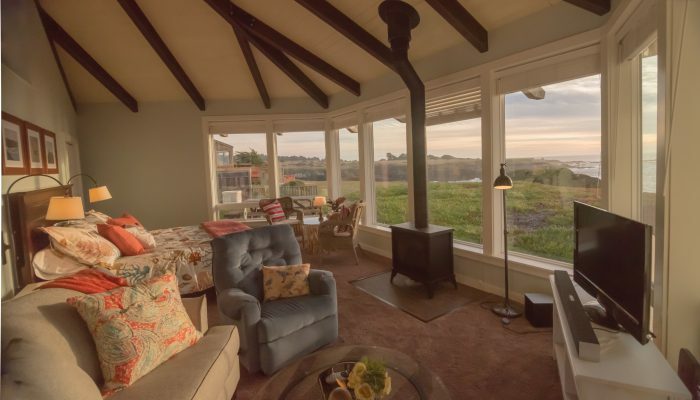 Children (10 years or older) can be accommodated at The Cliff House. However, since this property is located right on the edge of the Pacific Ocean, we require that a Waiver of Responsibility is signed by the parents or guardians of minors staying on the property.